Acadiana Security Plus offers your family the most reliable defense possible from key threats, including fire and carbon monoxide. We custom-install the best products on the market, and our fire protection services integrate consistently with your security, lighting, climate, and entertainment systems. 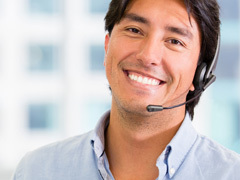 Our award-winning local monitoring center is the heart of this service, with a certified, experienced and dedicated team of professionals operating 24 hours a day, 365 days a year, for rapid, reliable response. Though we offer outstanding services for fire protection, you can take key steps to prepare your home and family for any eventuality. 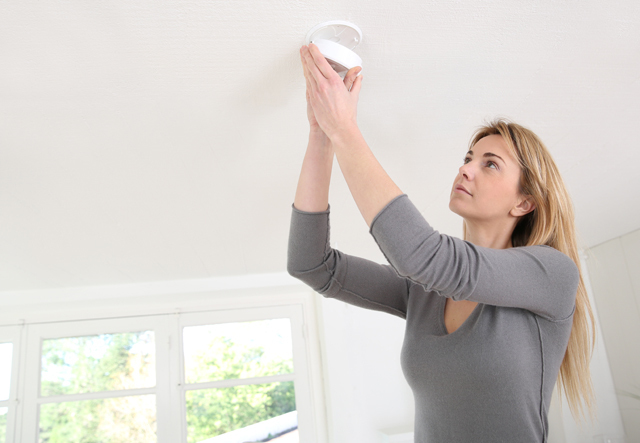 Your first line of defense for fire protection is smoke alarms—they play a vital role in reducing fire deaths and injuries. They should be tested every month, and batteries changed when needed. Install smoke alarms in every sleeping room and outside each separate sleeping area, and on every level of the home. There are two kinds of alarms: 1. Ionization smoke alarms are quicker to warn about flaming fires, and 2. Photoelectric alarms are quicker to warn about smoldering fires. It is best to use of both types of alarms in the home. If a fire occurs in your home, GET OUT, STAY OUT and CALL FOR HELP. Never go back inside for anything. 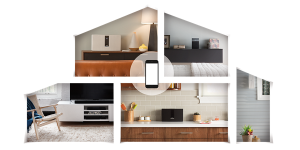 The Lyric Controller is intuitive, easy to learn and easy to use, whether you’re controlling security, thermostats, cameras, lights or locks…you can control everything with a tap on the app from a smartphone or tablet. The control panel features a sleek, low-profile design and looks great on a bookshelf, tabletop, virtually any flat surface. A state-of-the-art Bose BUILT-INvisible home theater in your main room where all components are hidden, even the subwoofer, which delivers vivid sound for movies, music, sports, and video games. The Acoutimass system is scalable, depending on the size of your room. Get theater-like sound, right a home. 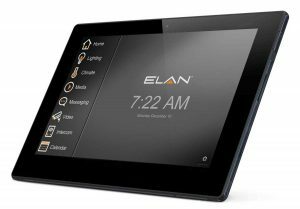 One-touch convenience with a home automation system from Elan. Set the scene of any room, on schedule, and control your lighting, thermostats, sound system, locks, doors, and cameras.